If you’d like a little gospel music accompaniment while you read this, here’s Hezekiah Walker’s “Grateful”: https://www.youtube.com/watch?v=yE0W-kQyz6A Read slowly though; “Grateful” doesn’t really kick in until after the 3 minute mark! This year has been full of blessings and challenges. Like many people, I am pretty good about pausing and saying a silent “thank you” to the universe when positive things happen. In tough times, I can still point to the many wonderful people and things in my life. Gratitude is a terrific practice to ground us in the present and remind us that our lives are full of joy and abundance – regardless of our present circumstances. Where gratitude gets harder for me is being grateful for the challenges themselves. There are lessons and growth – even goodness – in our difficulties, but can we allow gratitude to exist alongside our sadness, fear or anger? During the past year, the best I was able to do at times was to bless my challenges, knowing that I would be grateful for them later – even if I couldn’t connect to that gratitude at the time. This Thanksgiving, I am grateful to be a work in progress. I am grateful for the challenges that help me grow and become more than I am today. 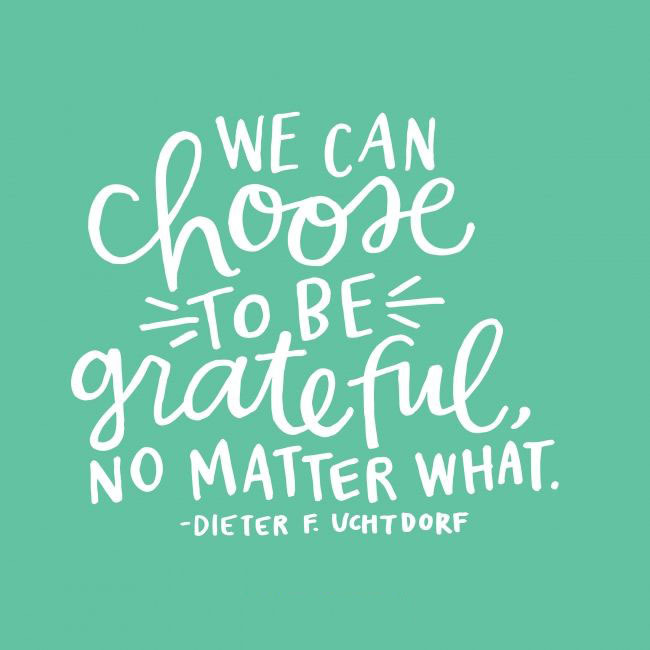 And, as always, I am grateful for the many blessings in my life – including you! 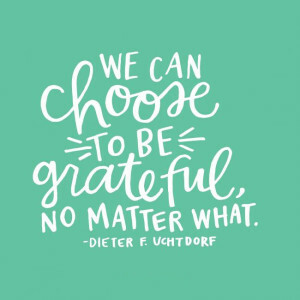 What blessings and challenges are you grateful for this holiday season?